If cholesterol in the blood is high, there is a tendency that you will also suffer from gout. Come on, keep uric acid and cholesterol levels from increasing by avoiding or reducing these foods. Gout is inflammation of the joints that can cause joints (usually in the big toe) to suddenly feel painful, sore, stiff, and swollen. This disease is caused by a buildup of substances called uric acid in the blood. According to rheumatologists (studies and treatment of conditions for joint, muscle, bone and connective tissue disorders), gout is associated with a number of metabolic problems, one example being cholesterol. Cholesterol is thought to increase or be a risk factor for developing gout. One way to maintain uric acid levels and cholesterol in the blood remains stable is to run a healthy lifestyle such as maintaining a diet and exercising regularly. There are several foods that can make uric acid and cholesterol high. What are they? Not only sufferers of gout who are prohibited from consuming innards, but people with high cholesterol are also advised to avoid it. chicken gizzard, liver, kidney, thymus gland, etc. have high purine content and contribute to increase uric acid levels. Purines are certain chemical compounds in some foods that will turn into uric acid if broken down. In addition, the liver is also high in cholesterol. Why? Cholesterol is made and stored in the liver, the highest cholesterol level in animal meat found in the liver. 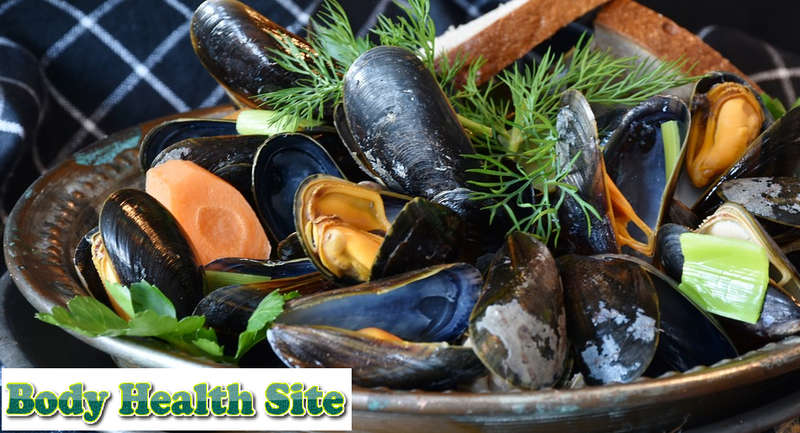 Seafood such as anchovy, sardines, mackerel, tuna, and shellfish. Why? These foods contain high purines. Whereas lobster is not a good choice (especially for people with high cholesterol) because of its high cholesterol content. In 85 grams lobster contains 61 mg of cholesterol. Not to mention if the lobster is cooked by frying or if you consume more than one tail, of course, the cholesterol level will increase. Come on, limit seafood intake so that uric acid and cholesterol levels are maintained. Patients with gout and cholesterol are advised to limit meat intake. Various types of meat, especially red meat, have high amounts of purine and cholesterol. If you want to eat red meat, it is recommended to remove fat sticking to the meat. Or you can also eat white meat like chicken or turkey. However, note also how to process white meat, it is recommended to remove the skin and not be processed by frying. Gout and cholesterol are not friendly with alcohol. Consuming too many alcoholic beverages, especially beer, is thought to increase the production of uric acid to cause repeated attacks of gout. In addition, beer also makes it difficult for the body to remove uric acid from the body. Moreover, excessive drinking of alcoholic beverages in large quantities can increase cholesterol and triglyceride levels (a type of fat) in the blood. A healthy body can be achieved by maintaining uric acid and cholesterol levels under normal conditions. In addition to maintaining food intake, don't forget to exercise at least 30 minutes every day. 0 Response to "Gout and Cholesterol Patients Don't Eat This"